Born from the vision of a pastry chef frustrated by watching perfectly good food go to waste, Fareshare "rescues" food, and prepares meals for hundreds of charities. Marcus Godinho (BCom 1990) CEO of Fareshare, transferred his corporate suit for a sustainable, community focused outlook in 1998 and has never looked back. Environmental, sustainable and community-focused enterprise are a common theme in your career. What drew you to this kind of work? During the last year of my MBA in 1997, Peter Kinrade from the Australian Conservation Foundation gave a guest lecture on climate change and global treaties. I decided then that I would finish my studies and take a break from the corporate sector and find work with an environmental advocacy organisation. I realised the experience I gained working in corporate affairs with Exxon Mobil and National Australia Bank were transferable. Having that self awareness was important. I’ve never looked back. Since then, I’ve met a lot of people passionate about sustainability and doing really good work across different sectors – corporate, government and not-for-profit. 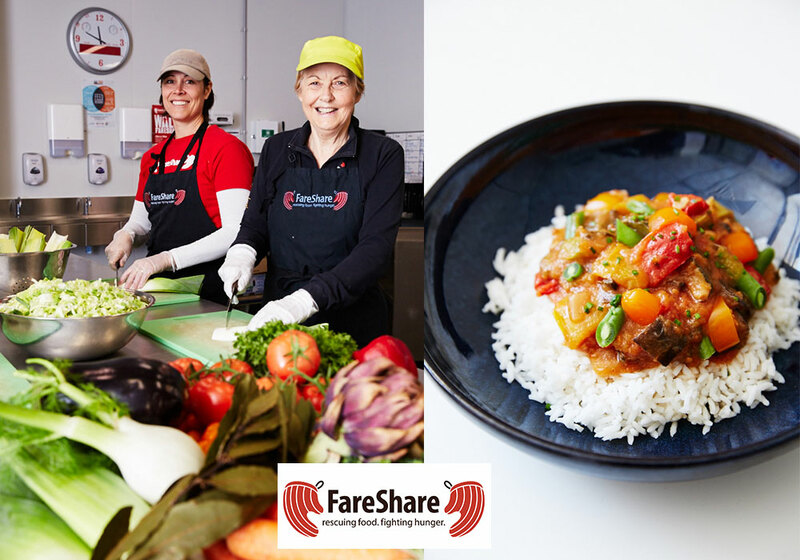 Community participation is key to FareShare’s success. What are the key learning experiences for your volunteers? We have 800 people who regularly volunteer once a week or every fortnight. We also have over 3000 secondary school students and another 3000 corporate employees who help out each year. We have built an organisation that extends the opportunity for people and businesses to participate in what we do. People volunteer for many different reasons. To help others, a sense of wanting to 'give back', to build friendships, a love of cooking, developing new skills and a passion for the issues we work on. What are the main issues the charities you partner with experience? We hear of, and see, a number of issues. They range from the withdrawal of funding by Governments and other bodies, lack of earning opportunities for those developing social enterprises and limited entrepreneurial traits/skills/experience of the people involved with the charities. Competition for funding is also a challenge. Sometimes it’s the charities with the highest profiles (not necessarily the highest quality work or impact) that receive the funding. This puts pressure on charities to become marketers as well as service providers which can affect their social enterprise focus. How does 'rescuing' food impact society and the environment more broadly? 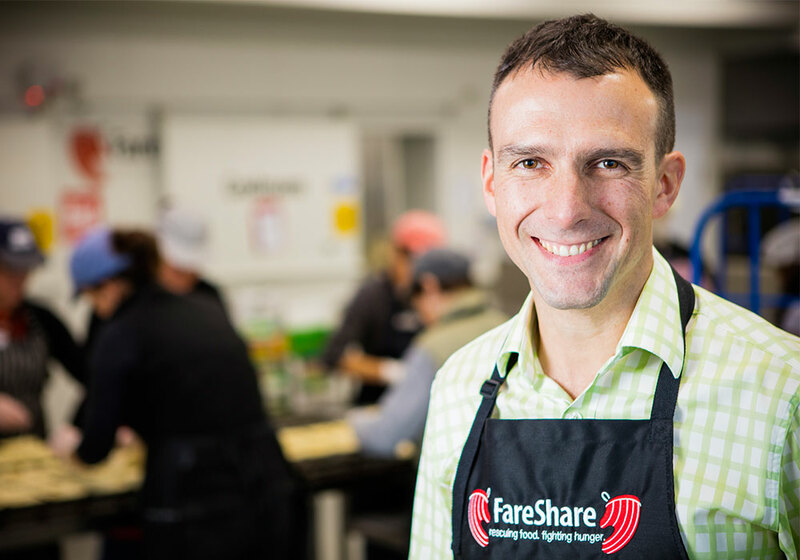 People who visit FareShare as part of our corporate shift program often become regular, ongoing volunteers helping in other ways and participating in activities for a greater good. People are generally aware of the environmental benefits of reducing their water consumption and taking public transport, but not many appreciate that their greatest environmental impact comes from their choices around food: what they purchase and how much they throw away. What advice can you give graduates looking to build a business venture with a social impact focus? Identify what you are passionate about – socially and/or environmentally. Join the board of a smaller community organisation or not-for-profit. Gain some general social governance experience. Volunteer with different organisations. Cultures and approaches vary. Back yourself by taking calculated risks.